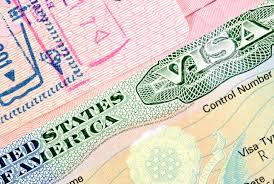 Foreign nationals who have a valid US visa or lawful residence in the United States (green card) may enter the Republic of Serbia without visas and stay longer than 90 days within six month period. Visa must be valid for the whole duration of stay in the Republic of Serbia. Also, foreign nationals who have a valid Schengen visa, UK visa or other European Union member-states visa may enter the Republic of Serbia without a visa and stay longer than 90 days within six month period. The possibility of entering the Republic of Serbia without a visa is valid beginning November 8th, 2014. Above does not apply to foreign nationals who are holders of emergency travel documents or travel documents for refugees and aliens.